Got this as a commission, and wanted to try to do a hip, stylish version of Logan’s civvies for Laura. I think it came out pretty damn good. Just doodling in my sketch book. A very special commission for a Patreon supporter for the podcast I co-host. She is the literal BEST. 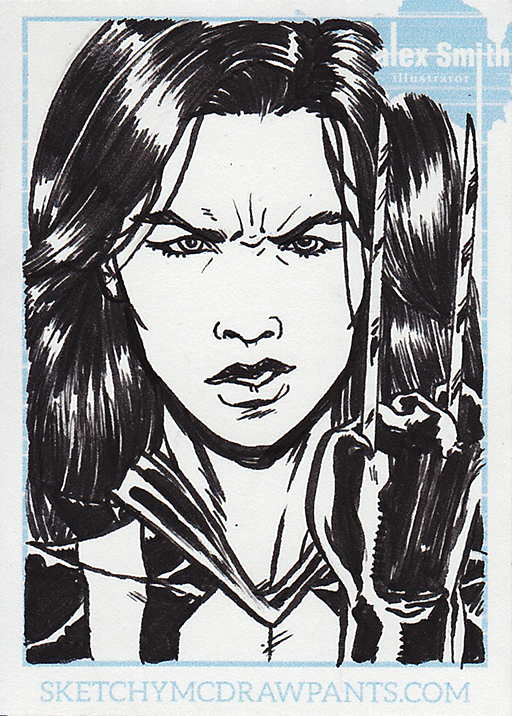 Laura Kinney Wolverine sketch card, just cuz.